Our managing director, Peter Lappin has now showed exactly what he’s made of! 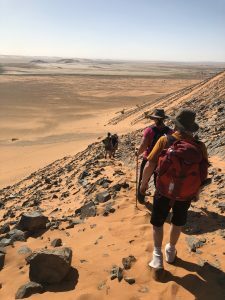 He’s pushed his endurance skills to the limit with a 5 day 100km trek across the Sahara desert. Well done Peter, we are all extremely proud of you. 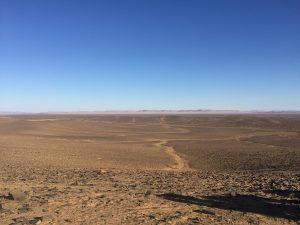 His challenge went beyond the Jebel Saghro region, a forbidding landscape punctuated by peaks, gorges and oases. 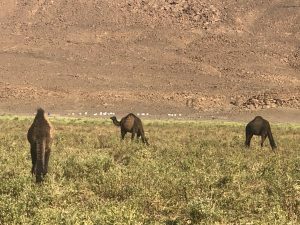 It is the land of the Ait Atta tribe, who migrate here from the High Atlas Mountains in winter. 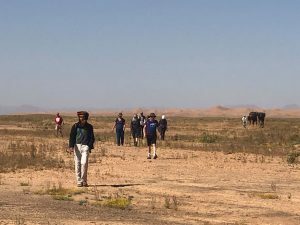 The first day in Morocco is spent crossing the Maider El Kbir plateau and passing rose dunes. 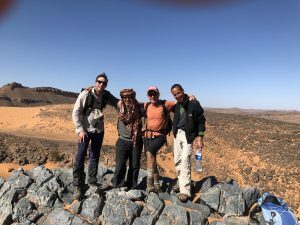 A challenging climb up Jebel Lamrakeb is well worth it. 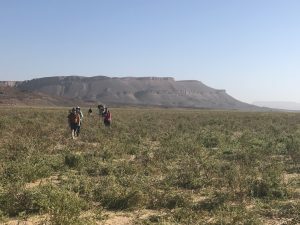 Walking through palm gorges, the route joins the dry Rhris River and heads towards an oasis of tamarisk trees. 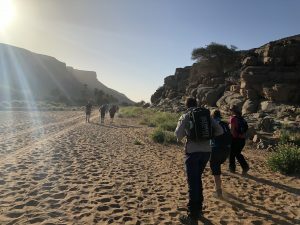 The final days were spent trekking along the Tikertouachene River, before celebrating in Ouarzazate. 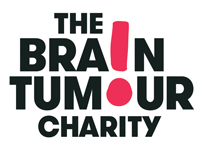 Peter’s aim is to raise £6000 for the brain tumour charity and he is is tantalisingly short of his target. For every pound raised through Peter’s just giving page, Relec will match this amount. 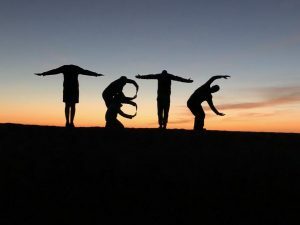 Scroll down and keep scrolling for his training blog and read right for a report on the event itself! 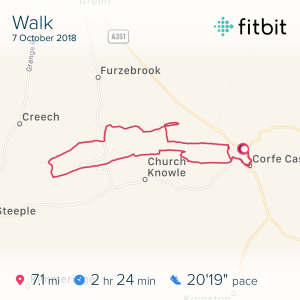 Training Diary – Walk one – Sunday 7th October – Corfe Castle So training has begun..I had previously done a couple of walks to see how I got on before signing up, ( I have never walked for enjoyment..!) They were on flat ground. I did manage 10 miles but my knees were seriously complaining by the end of it. I am working on the basis that as I get fitter my knees will be supported by the extra muscle. Yep I am not a doctor, no one has suggested this, so fingers crossed. So yesterday I decided I should try a few hills. We live in a beautiful part of the country (other beautiful parts of the country are available!) 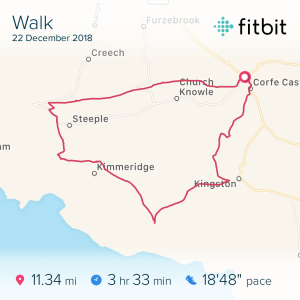 so decided a 6 mile walk out of Corfe would fit the bill. It was a beautiful day so perfect to start to break in my new boots. 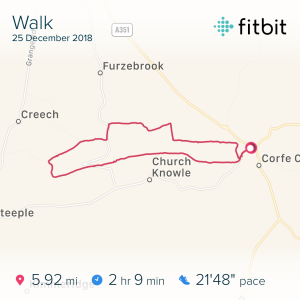 I left Corfe and started up the steep incline to Knowle Hill. As you walk along the ridge the views are just amazing, who would have thought! The Purbeck coast to the left and Wareham forest to the right together with the amazing Poole harbour. I saw two guys braving the cold to fly their gliders, thought it made a great pic. 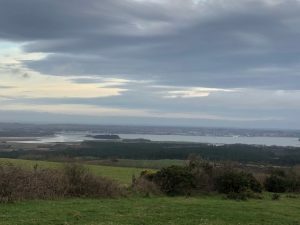 I then turned down towards the hamlet of East Creech, again with fabulous views over Poole harbour. Through the village and past the typically and very pretty Dorset duck pond and resisted the tea rooms! Then after a short amount of road walking I turned into Norden wood which apparently was once a clay mining area and there are lots of small pools formed from the clay pits. Amazing through here. I saw two deer, the second I am certain reacted to a birds warning call, it was just instant. They were far too quick to grab a photo though. Then it was a short climb back towards the ridge. 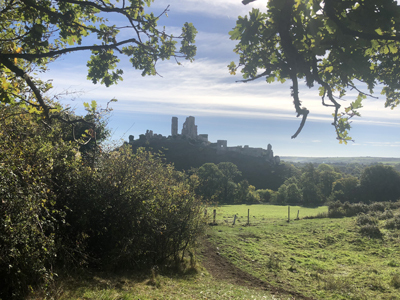 More woods before emerging with another fabulous view of Corfe Castle. 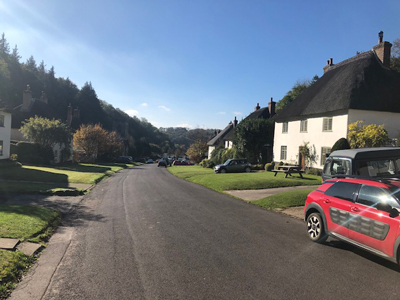 I could have cheated and gone back to the car as it was only a few yards away but decided to finish properly in Corfe village, after all isn’t that the point?? 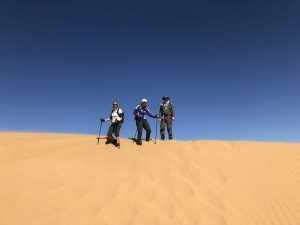 What was on my mind was that this walk was 6 miles, the longest day in the Sahara will be 17 miles. 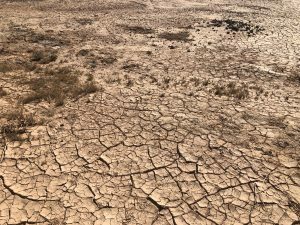 So another two circuits worth, but in the desert heat….blimey…. 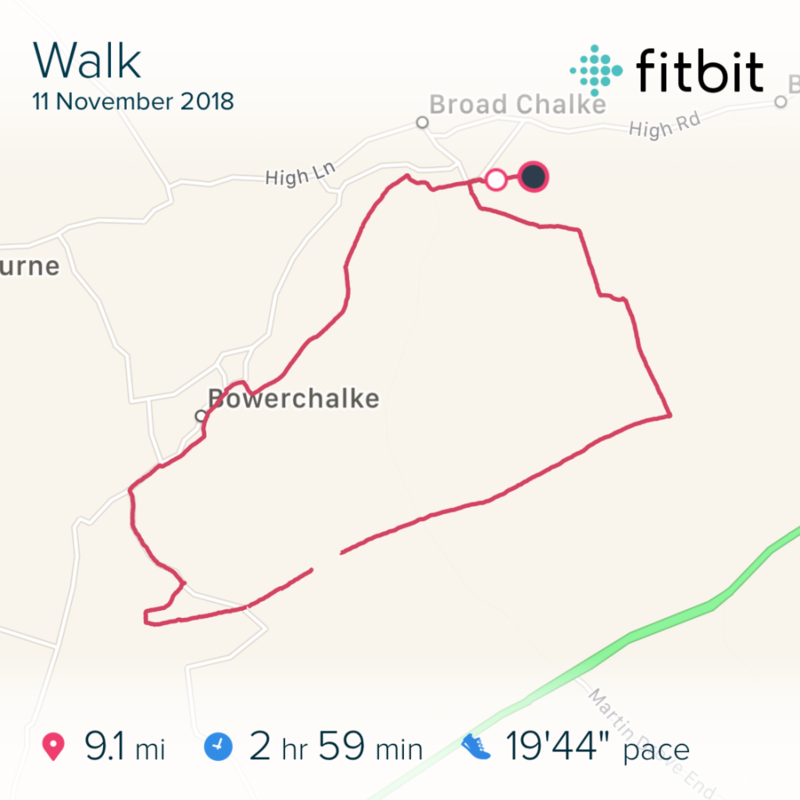 Walk two- Sunday 14th October – Badbury Rings Sunday 14th was a day of pretty horrible weather. However as its beginning to dawn on me what’s involved, and with only 10 Sundays until Christmas I really need to improve my fitness. 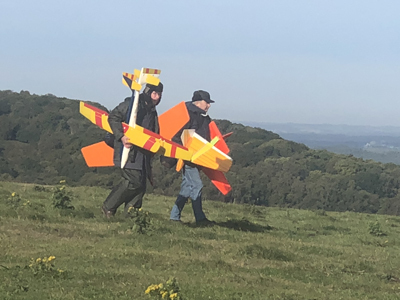 So a walk out of Badbury rings seemed to fit the bill. 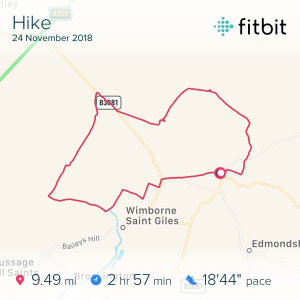 Advertised as a 7 mile walk it didn’t offer the same challenges as last week, but I need to build up slowly as last Monday my hips were really painful.. Badbury Rings dates back to the iron age, and latterly the romans used it as a complex junction which incorporated 5 roman roads. Some of which are still used today. 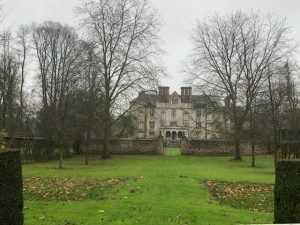 This was a walk for view across the very open Dorset countryside skirting the grounds of Kingston Lacy house although for the whole walk there was literally a glimpse of the house as advertised in the walk book. 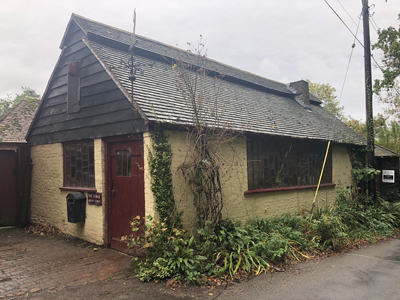 As the walk passed the Pamphill shop there was an old Forge which looked fairly derelict. Looking through the window though was like looking back 100 years, with not a sign of any modern equipment, and as dark as you imagine the turn of the last century would have been in such workshops. Not possible to get any pictures inside unfortunately. A brief stop for amazing cake and a coffee at Pamphill, before setting off for the second half of the walk. Finding the trails can be a bit of challenge, and some debate as to which was the right path back up to Badbury Rings was had. A bit of a climb back up to the old fort with amazing views to the North, or was it South, or South West, I got rather confused! A brief walk around one of the outer rings back to the car park , where an ice cream van was waiting. Well it would be rude not to indulge wouldn’t it, and I have to say was very welcome. 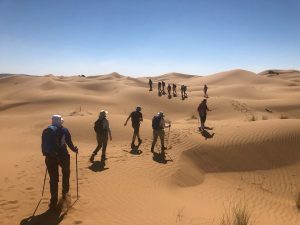 So feeling quite good after this walk, although with the longest day of the challenge being 17 miles in the Sahara in 30+ degrees, I still have a long way to go, so next week I will make it a little tougher. 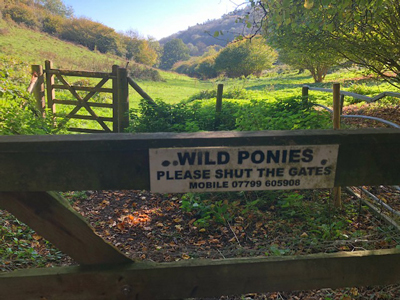 Walk three- Sunday 21st October – Bulbarrow Hill & Milton Abbas A planned 8 mile walk with some hills. Starting to introduce some more difficult terrain as I need to get stronger and improve my stamina.. I have been breaking in my boots which have been rubbing a little around the ankles, but this week I am using my new high tech day sack for the first time, which I was fortunate to receive for my birthday. I didn’t know such kit existed, but includes ‘cooling chimneys’ which are designed to stop your back sweating, so lets see how well it works! Bulbarrow Hill is the second highest point in Dorset (274M). 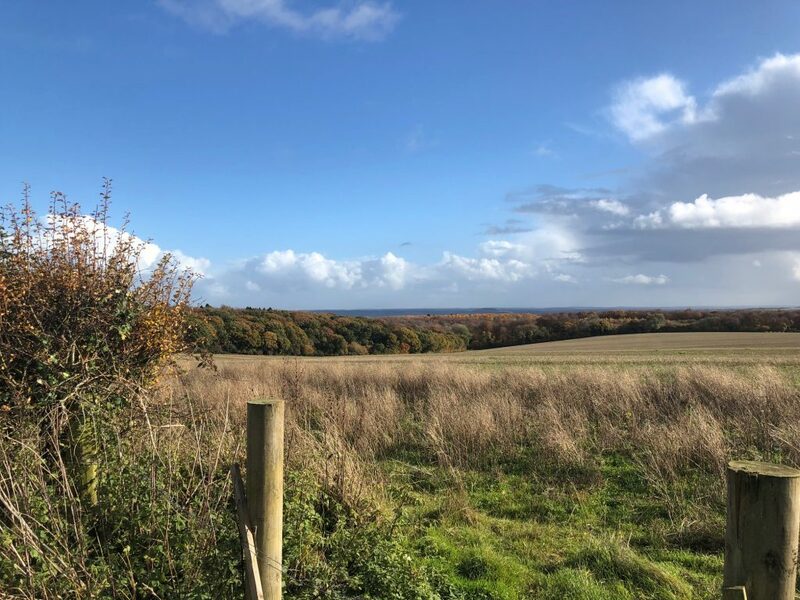 The walk takes you through some fabulous woodland and through a village called Milton Abbas which is an archetypically Dorset chocolate box view. 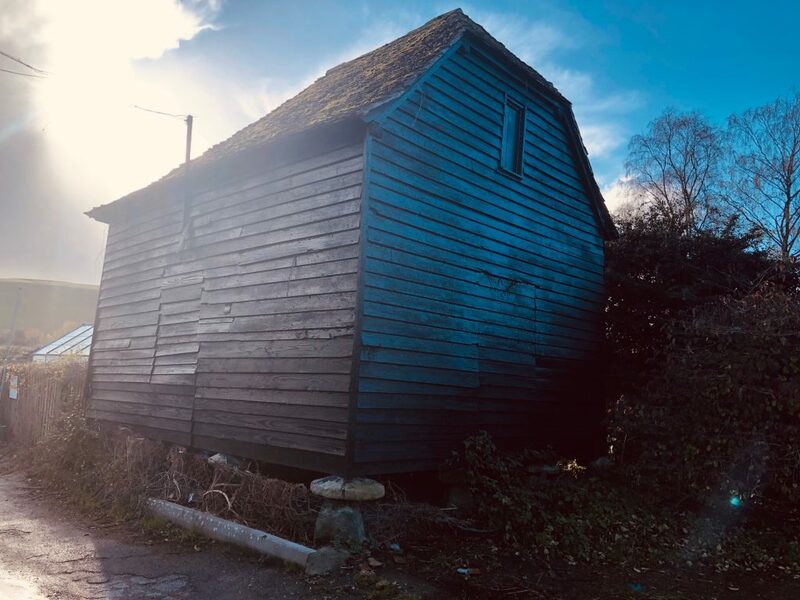 Built by Joseph Damer around 1773 after he demolished the original village because it spoilt his view from his new pile! 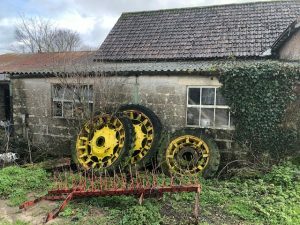 The walk provides some great open views, woodland, and gives an insight into the lives of people living in the backwaters of Dorset that you would never otherwise see. 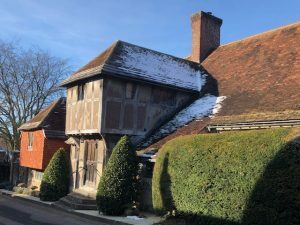 I used to live very close to this area, but never knew these places existed. 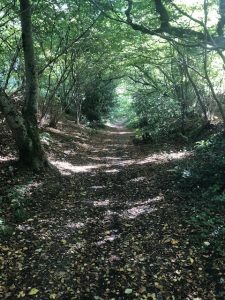 The walk starts at Bulbarrow takes you through Ochill wood through to Winterborne Houghton. Some wild ponies encountered on the way. 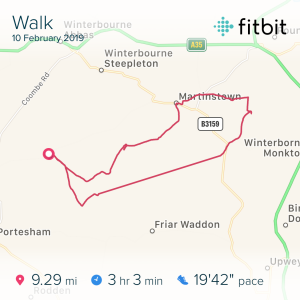 Here is a very steep climb from Whiteways Farm, I have to say I struggled, towards Milton Abbas through Milton Park wood. A great refreshment stop at the Hambro Arms, just as well as I left the water bottle at home, before setting off to Milton Abbey which is now a school. Rather bitter sweet memories of getting thrashed at Rugby when I was a school kid here! The walk then climbs steeply again onto another ridge which is mostly woodland. 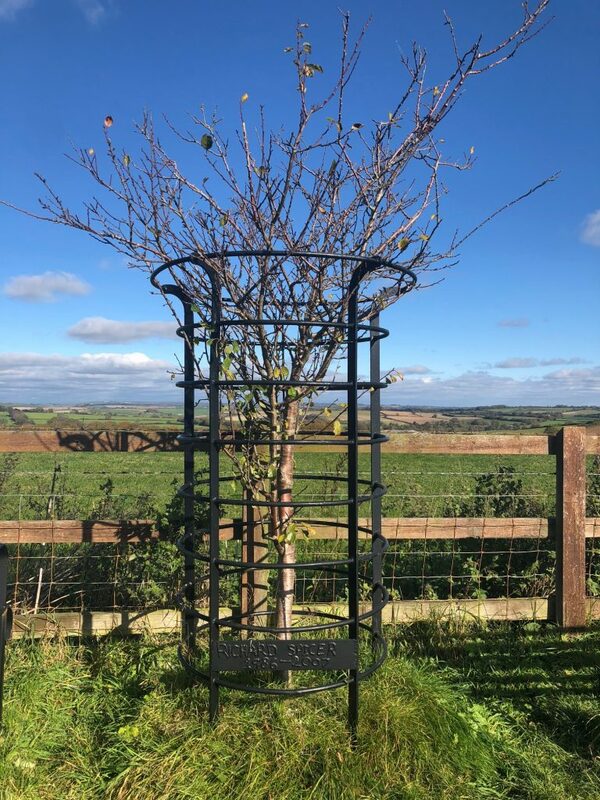 There was a lovely memorial to a young guy that had been built by his family, taken at 32 years old, he obviously used to enjoy his motorbike through the various trails and paths. This walk has some gloriously Dorset names including Crincombe Bottom and Sqibbs Knoll, perfect inspiration for anyone writing a child’s book I feel. The walk finished back at Bulbarrow. I walked in a T shirt all the way around, it was so warm. 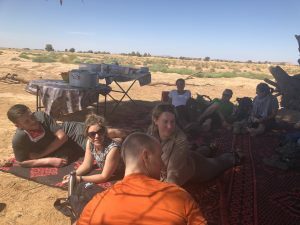 And yep the day sack was amazing, no soreness and kept me cool, fingers crossed it works as well in the heat of the desert…. 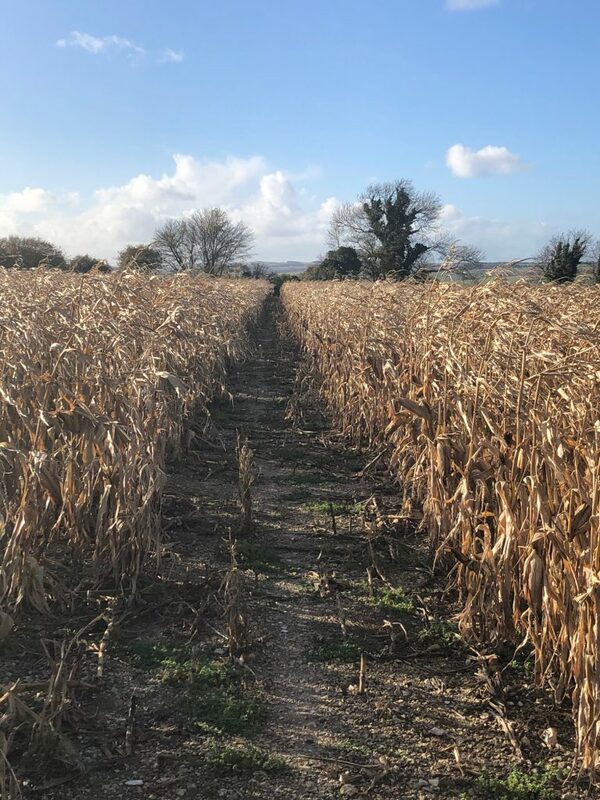 Walk Four– Saturday 27th October – The Heart of Hardy Country Here is my latest instalment of my training walks trying my best to prep for my 100K walk in the Sahara Desert to raise money for the brain tumour charity. 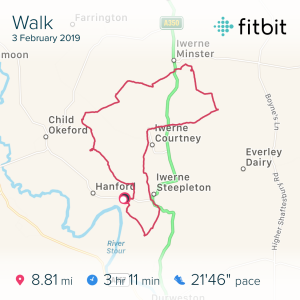 This week was a 9 mile walk in Thomas Hardy country passing Hardys Cottage. A busy place for obvious reasons, Hardys cottage is a big tourist attraction. 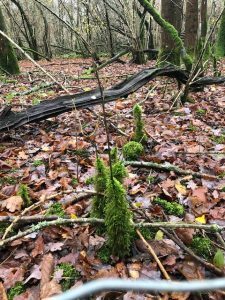 Then a lovely walk through Puddletown Forest, before climbing to the Ridge way and Waterston Ridge, with fab views back over Puddletown Forest. This is the second walk where we have come across a memorial to young people in the middle of nowhere. This time the young mans name was Richard Spicer just 21 years old. Surely a sad story but a beautiful memorial. Then back down the hill to Stinsford Church where Hardys Heart is reputedly buried together with his two wives, and the poet Cecil Day Lewis. yes ok not all in the same grave…! Then through Thorncombe wood and back to the car park. 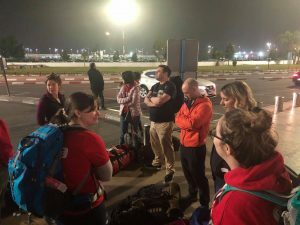 Pretty tired arriving back to the car, so the thought of doing the same again in 30+ degrees is still very daunting! 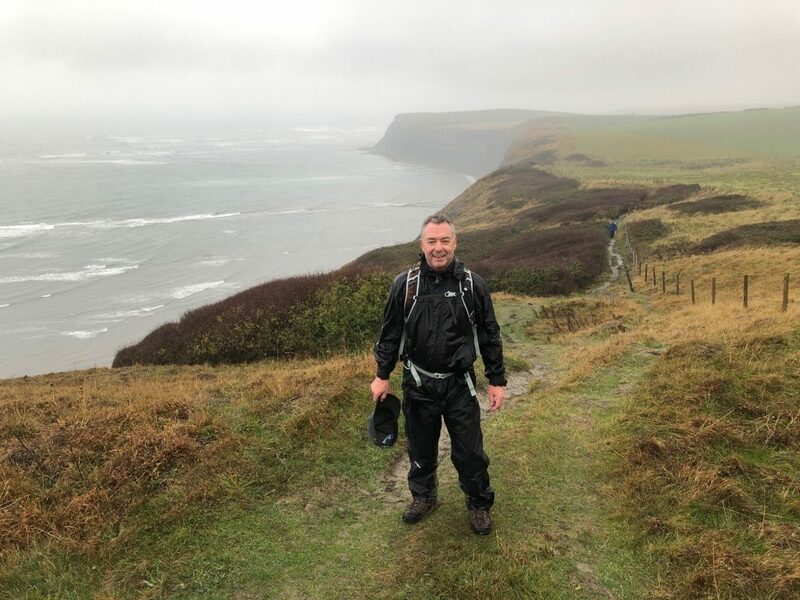 Walk Five– Sunday 4th November – Kimmeridge Bay and Swyre Head Mirages in the rain. 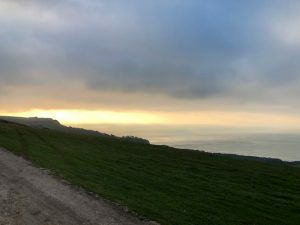 This Sunday was the first time to the Purbeck coast with its very steep climbs. 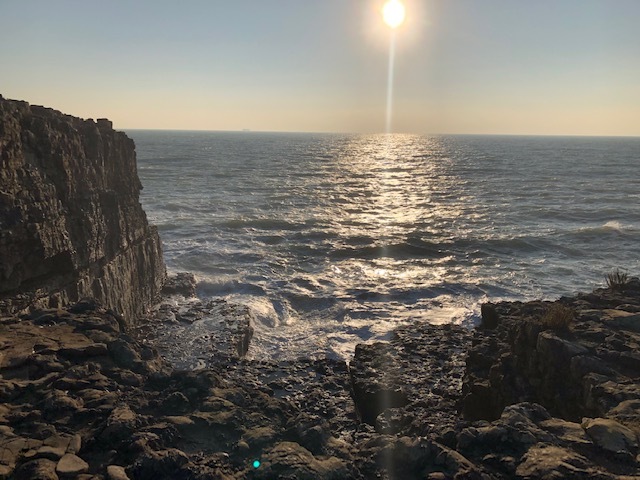 I picked this one as I am no where near fit or strong enough to tackle any distance along this coast, this walk has one or two harder climbs but that’s it. This was also the first time walking in the rain, a very grey and wet morning. 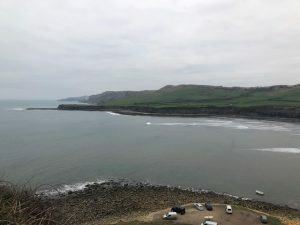 The walk starts just above Kimmeridge and makes its way to the bay. I decided to carry a donation ‘tin’ on my day sack, I did manage a couple of small donations and to chat about the charity which was great! 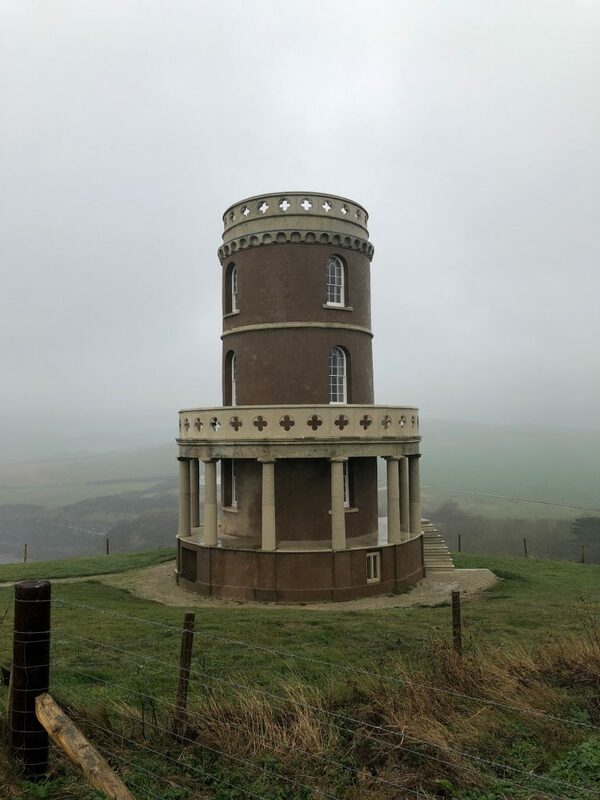 The route then winds up Hen cliff past Clavell tower, which was once a folly but now a private property that can be rented, except its booked until 2020 apparently! The route continues along the cliff edge, which in places seem to be falling into the sea with large shrinkage cracks along the footpath. The farmer appears to have moved his fence back in places leaving walkers to take their chances! There is then a very long steep climb up to Houns-tout. Very muddy here and a really testing climb, but on a good day views as far as Bournemouth and the isle of Wight. 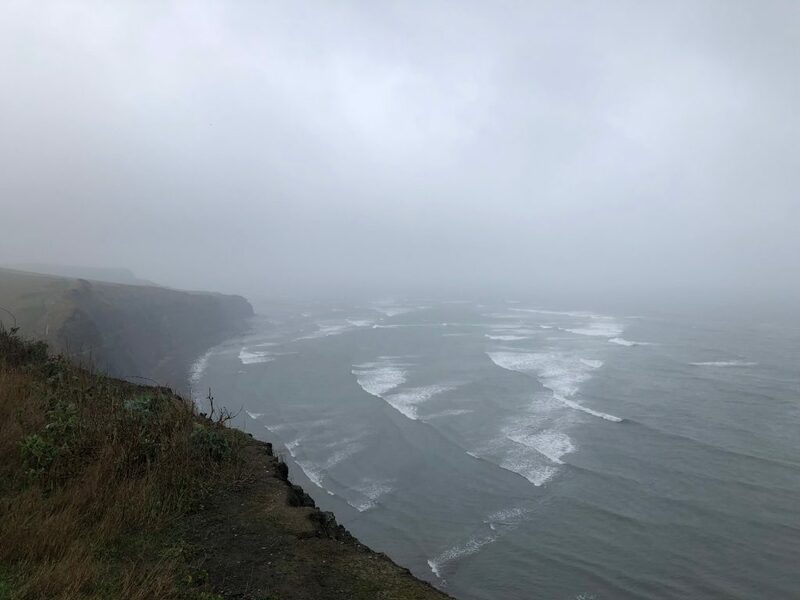 Today it was very grey, so will need to do this walk again in better weather, to be able to enjoy the views and get some decent pictures. It was this part of the walk where we were looking for a bench mentioned in the walking notes, to have a cup of tea and a bite to eat. Not wearing glasses because of the rain, and struggling to see in the gloom, we were a little tired and had marked the bench as a good rest stop. I was convinced we had reached it but it turned out to be an old fence …very annoying when it came into focus, the second I was very sure about, totally convinced….until I had to concede it was a small line of bushes…I didn’t know you experience mirages in the rain! 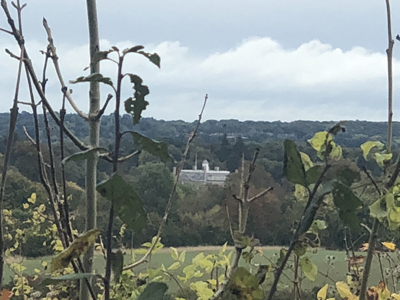 (OK I know not technically mirages, more a case of Mr Magoo syndrome but call it poetic licence..) Will probably be seeing Starbucks in the Sahara… Then turned North towards Kingston, with a view over the Encombe estate nestled in the valley. 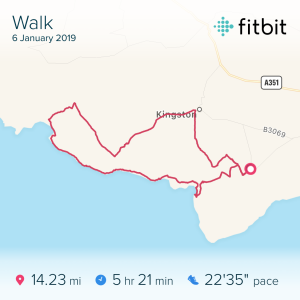 Once reaching Kingston its time to loop round over a ridge to a high point, giving even greater views over the coast in both directions, again on a bright day this would be even more amazing.. Then the last mile or two back to the car park. 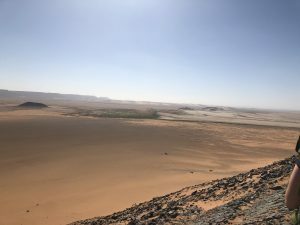 The hardest walk by far yet around 9 miles, so two circuits of that will be my longest day in the desert, in 30+ degrees. Its only 16 weeks away apparently, yes very nervous! This was a pleasantly surprising walk with much mystery, interest with great views and fabulous countryside. It started in Sixpenny Handley, often written as 6D Handley, although it has nothing to do with money. The name is derived from two medieval Hundreds (administrative division that is geographically part of a larger region) ‘Sexpena’ (Saxon Hilltop) and ‘Hanlega’ (high clearing) which by the 14th century were united as the Hundred of ‘Sexpenne et Henle’ This village was also home to the dreaded Isaac Gilliver (1745-1822) whose smuggling operations stretched from Poole to Lyme Regis! Within a mile or so the strangeness started…first an upturned wellington boot on a post in the middle of two fields. Then we encountered random boxes with lids on, sitting on pallets amongst some trees. Couldn’t leave them without taking a look, they turned out to be beehives as I found out when lifting the top off! 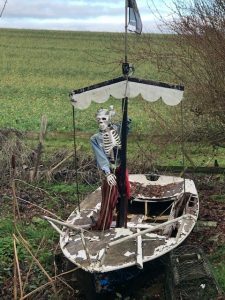 Then before crossing the A354 we encountered a shipwreck, yes…with a skeleton and a lobster pot, which obviously looking at the poor chaps weight loss had been empty for some time! Then it was up onto Pentridge Down, this was glorious with views either side. The sun shone and it was T shirt weather for an hour or so. Would thoroughly recommend a walk up here it has everything, open space, woodland and amazing views. Then it was down into Pentridge, a beautiful cut off quiet village. 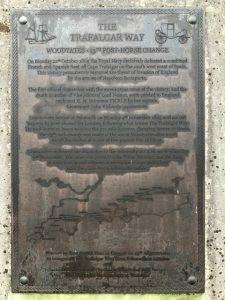 Then back over the A354 to learn about the Trafalgar way, very interesting see the pic! 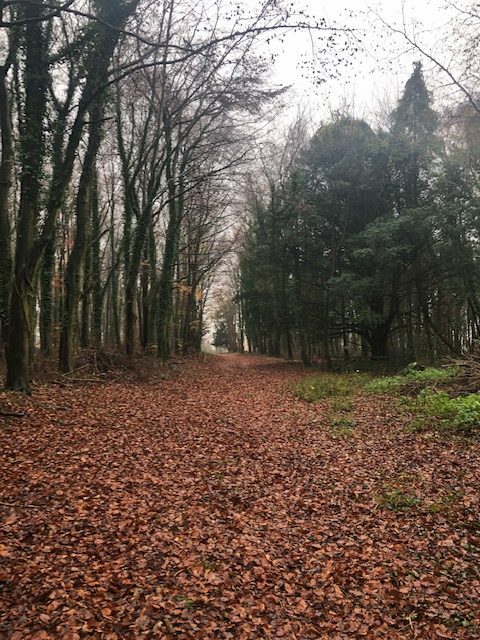 The last few miles were also hugely interesting taking us through an RSPB managed ancient wood, Garston Wood which actually is left to pretty much its own devices and was incredibly beautiful. This is worth a trip on its own! Then it was back to 6D Handley and a well deserved cup of tea! I love the Jurassic coast near here but this was very much on a par. 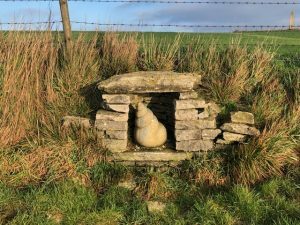 Walk Ten- Sunday 16th – Worth Matravers, St Aldhems Head and Chapmans Pool – 7 miles So after a missed week where I was away and also ill with Man flu, its back to the training. Saturday was a wash out so had to take it easy at the Christmas Party on Saturday so I could get out on Sunday. 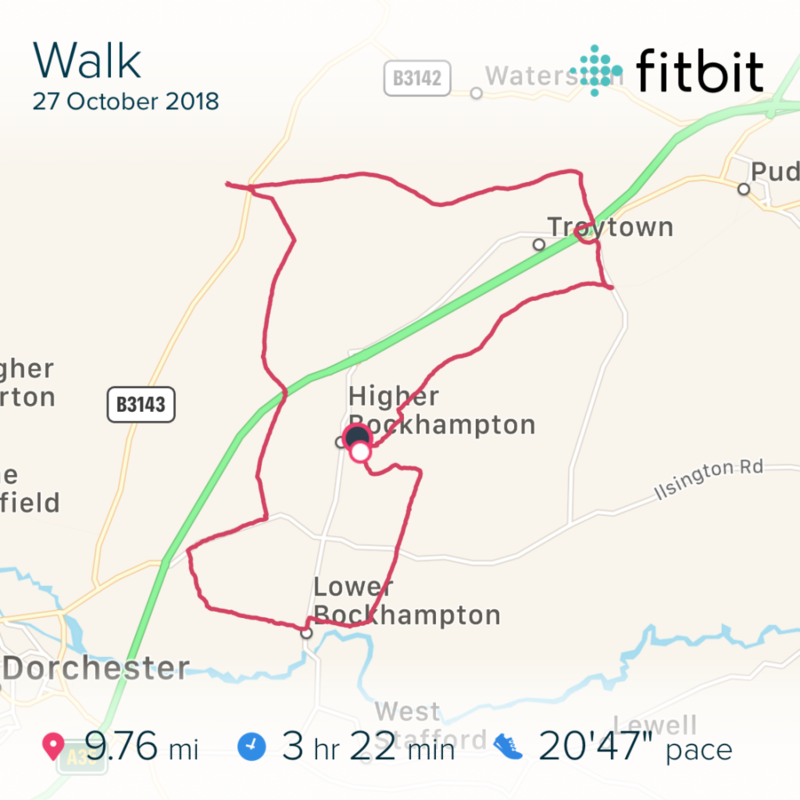 This was a shorter walk, but quite strenuous with several steep ascents. 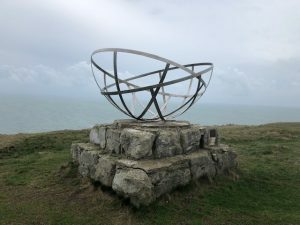 Starting at Worth Matravers near the Square and Compass pub, I then walked along the priests way until I turned right and headed for the coast to Dancing ledge. 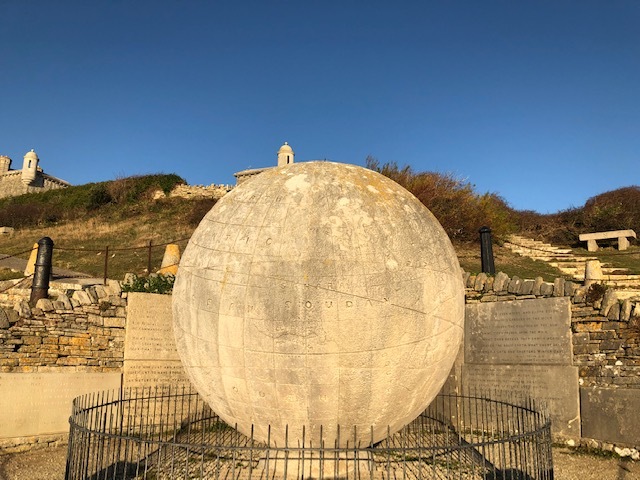 Mentioned in a previous blog this was one area where the infamous Purbeck stone was loaded onto boats bound for Swanage then onto London. Then it was a trek along a very muddy coastline. No way other than to walk through the mud. I have to say though I am seriously impressed with my boots. Not cheap but they are super comfortable and totally waterproof! Then it was onto a discussed quarry, Winspit, which still bears the hallmarks of its time when it was producing high quality stone for London. Easy to imagine it working at full tilt during its hey day. Loads of history here, including it being used as a set for Dr Who and Blake’s 7! Home also to some fascinating wildlife including the endangered Greater Horseshoe bat. Once through the quarry which is pretty difficult to navigate in the poor weather it was onto St Aldhems Head the home of a Chapel which originally dates back to the 13th Century, but has since been rebuilt in the 19th Century. Its then time to negotiate a very steep hill down and then up. Steps are cut into the hill to help, but this is a hard work! Then its along past a Royal Marines memorial to the beautiful Chapmans pool and circling back to Worth Matravers. There is great 2nd world war history in this area, Renscombe down was the nerve centre of the UK’s radar development. I would encourage you to look it up, its fascinating! 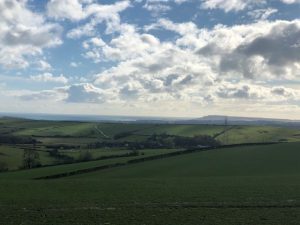 This was a lovely 2 ridge walk out of Corfe castle towards West Creech, then dropping down towards Kimmeridge Bay before a long ascent up to Swyre Head which I am getting to know quite well! Just amazing views from both these ridges and the weather was quite moody which made for some great pictures. Xmas day was a great day to go out. Really quiet and peaceful and very atmospheric. I did get a shock when in my own little world on Knowle Hill a jogger appeared from behind out of no where. Frightened the bejesus out of me! It was a little after that I ran into a great guy who was out on a Christmas day cycle ride. He was making a little video to wake up his mates. His enthusiasm for everything was amazing and he made a cash donation there and then. Its such a pleasure to meet lovely people totally expectantly. 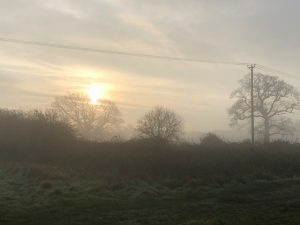 I decided on a short walk on xmas day just to enjoy the outdoors and clear my head before the excesses of later in the day! 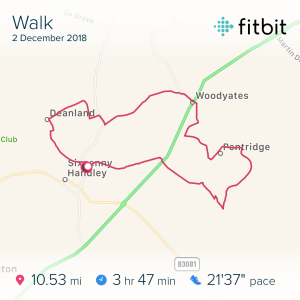 Oh and in case you’re wondering yes I have cheated with the pics and used some from when I did this route previously as I was being lazy not taking any pictures…well it was xmas day! 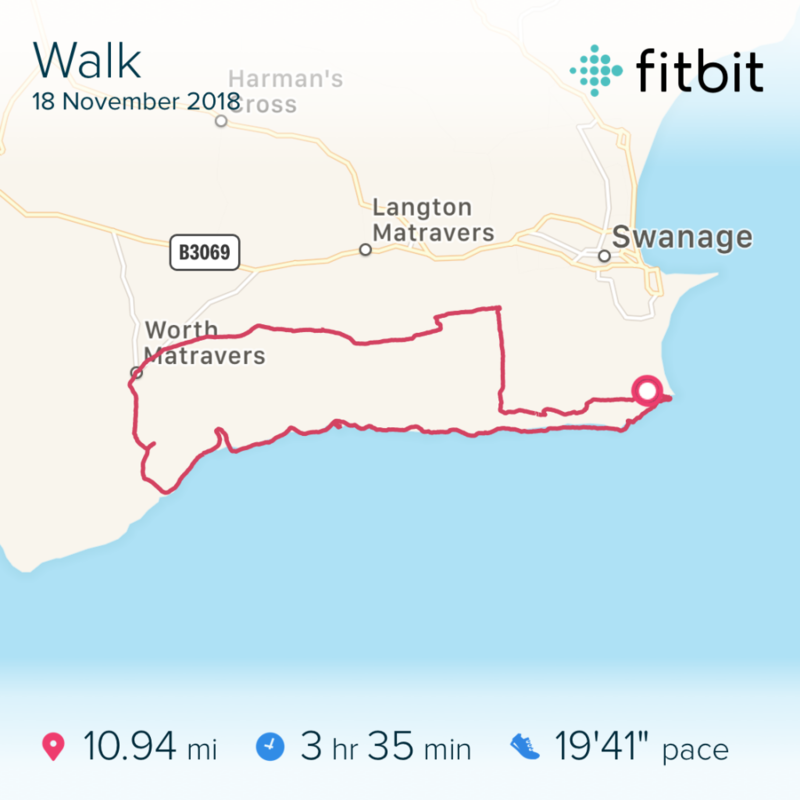 So this was my first longer distance walk in my training to raise funds for the Brain Tumour Charity. 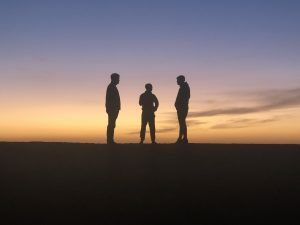 In the Sahara the longest day is 18 miles followed by 17 the next day and then 14. So decided I needed two longer back to back walks. I went with good friend and colleague Cherry and her husband who are keen walkers and suggested the route. There was not too much climbing on this walk which was ideal. 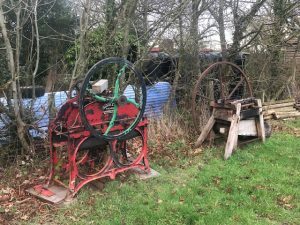 Parts of this were very close to where I live, but its really interesting when you are walking you don’t recognise anything! What’s nice is that it gives you a new perspective on your surroundings. 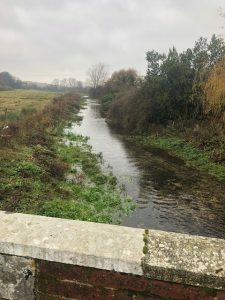 We crossed a couple of busy roads including the A35 which is where I was amazed at the beautiful river or stream we came across near the Mill at Morden. This is lterally just off the road that I have driven along hundreds of times but never knew it was there. 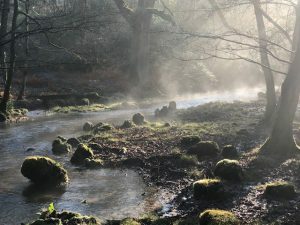 The lovely pic of the morning mist coming off the water is the one! 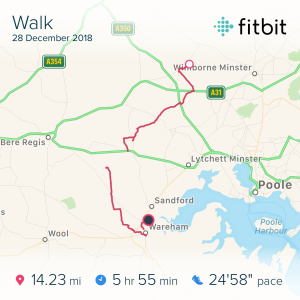 Fab..
We then walked across Wareham forest to an old hill fort where we stopped and had lunch with great views, even seeing the inescapable Corfe Castle in the distance! It was then into Wareham stop briefly at the quay and back to the office to pick up the car we dropped off earlier. 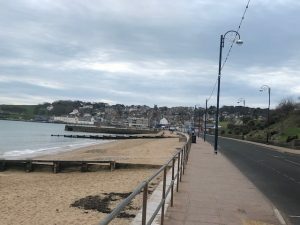 When I got home my legs completely seized up and could barely walk, however I had planned and was determined to complete a 14 mile walk the next day.. 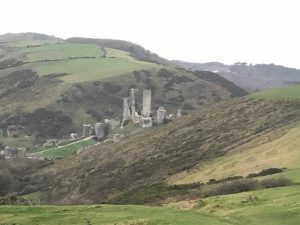 The second of my back to back walks started again in Corfe, a different route out across Corfe common then making a beeline for St Aldhelms Head. 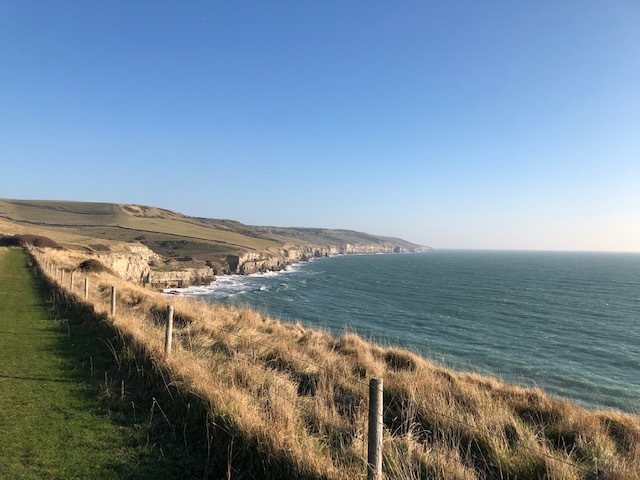 Then it’s along the coast to Swanage. Not long after starting out I could see Kingston ahead just to my left….it should have been on my right according to the map, so I had to double back. Very muddy through here although it turned out not as muddy as the coast path. 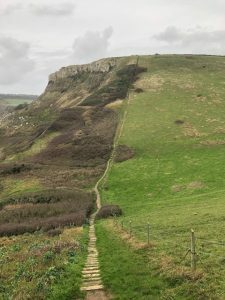 I had to tackle the steps just to the west of St Aldhelms Head once again, but I figure its great for building strength, turns out this is a walk in the park compared to a later walk I would do! I met a guy jogging along the coast path and he stopped for a quick chat. Talked about the usual, where are you going etc. 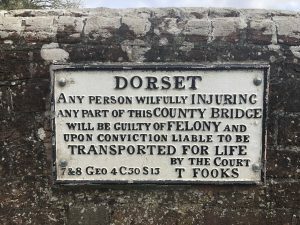 Turns out he was going to Corfe, but probably by a longer route. When I asked him where he had started he said Corfe! So that’s a good 20 miles across that terrain, serious respect and makes me realise how much more could be achieved. 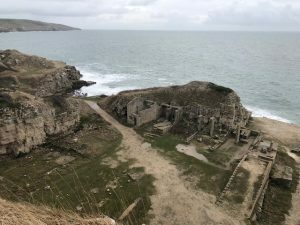 Then it was along the coast to Durlston head and round to Swanage. I was extremely tired by the time I reached here, and it turned out my left knee became really stiff and quite painful for the next few days which put paid to any more walking until New Years Day. Just as well I caught the bus back to Corfe! After the two back to back walks the previous Friday and Saturday, I was struggling with my left knee so decided to rest for a couple of days. 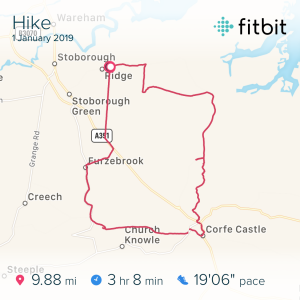 New Years day walk was 10 miles but not so much ascent to try and take it a little easier. 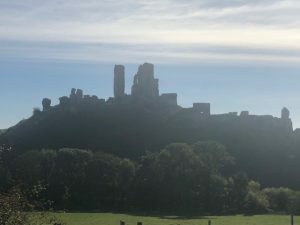 Starting in Ridge behind Stoborough near Wareham I threaded my way South East towards, yes you guessed it Corfe Castle. The weather was glorious first thing in the morning, I try to be walking by 9am. This area is so different and mainly heath land, but beautiful. Reaching Corfe from a different angle, it was nice to see it from a different perspective. 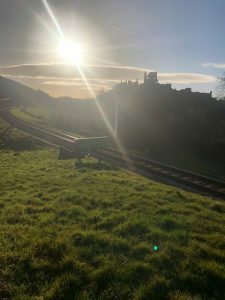 Crossing the train tracks for the Swanage steam railway also felt a bit nostalgic and exciting! We’re not allowed to do such things these days are we??! 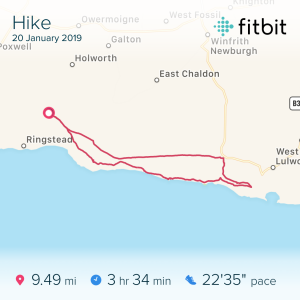 Then it was a climb up to what must be my favourite ridge Knowle Hill before dropping down quite quickly past Furzebrook and across the heath back to the van for a cup of tea! 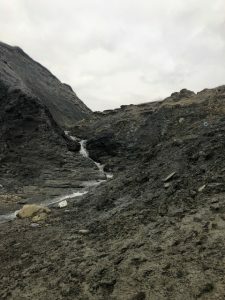 After managing the slime and mud it was then a very hard climb out of Chapmans pool, then head towards Kimmeridge. Fairly uneventful, but great to see a good number of surfers enjoying just enough wave to make it worthwhile going out, must have been very cold though! 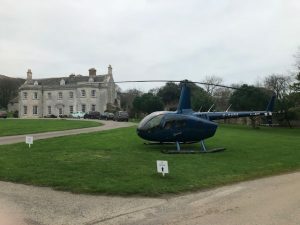 Then I looped back round, past a lovely house with a helicopter parked in the front garden, (as you do!) then another killing climb up the side of the hill to Swyre head. I climbed a total of 3000ft on this walk which gives you an idea! Back in Corfe! I hadn’t previously walked this direction out of Corfe, heading towards Swanage, so the view of Poole harbour was a fabulous surprise! 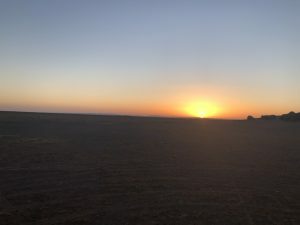 Its now that you realise that pictures can’t do justice to what you see. Poole Harbour, the second largest natural harbour in the world was eerily quiet, but beautiful. Looking back was yet another view of Corfe Castle, I have come to conclude it must be the most photographed monument in the area. 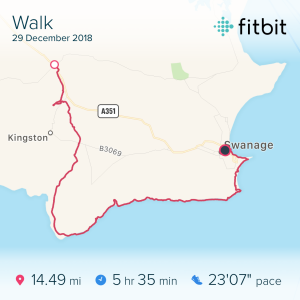 It was about 6 – 7 miles to Swanage relatively easy walking. 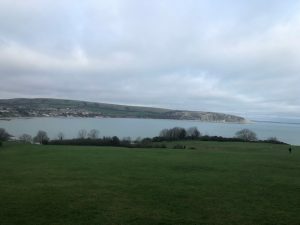 Through Swanage past Peverill point then to Durlston head. 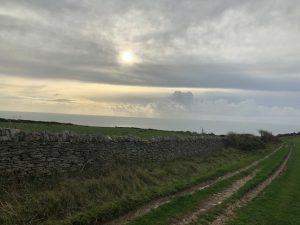 Rather than the coast path there is one higher up the hill which picks up the Priests way into Worth Matravers. After the mud of previous weeks everything is drying out which makes life a little easier. I stopped for my usual snack and a cup of tea along the Priests way. Once into Worth, its then a bit of a road walk to pick up the path back to Corfe. 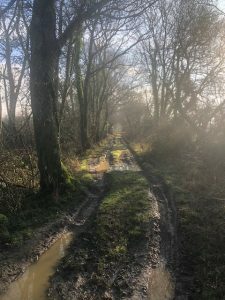 I considered an off road path I know, but my hip was playing up and as I was now about 13-14 miles into the walk decided the sensible option was to take the road. 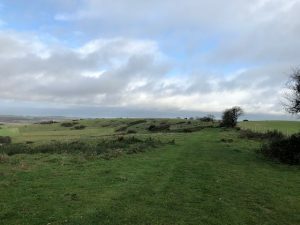 Then it was across Corfe common after a brief rest on a convenient bench outside a lovely house to rest my hip before the stroll back into Corfe. 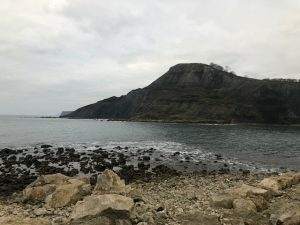 This weeks training walk took me west to Ringstead, with a view to walking east to Lulworth Cove then looping back along the coast. The NT car park and I didn’t get off to the best start. Its all grass parking and after dropping two wheels onto a very slight bank the van was going nowhere. Several attempts to extricate myself proved futile as the van resolutely slithered around. Ultimately, I decided to drive along the grass bank and get up a little speed and successfully got back onto the hard track, phew. However, it was to bite me again later. 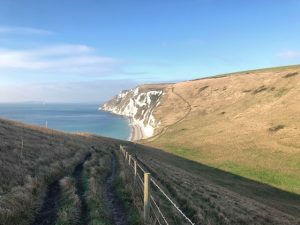 Once reaching Lulworth the terrain becomes much more challenging and the views even more spectacular. 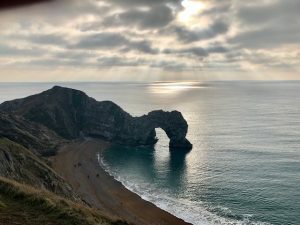 After a short while I reached Man O’war bay and Durdle door. The light was amazing so ended up with some great pictures. Its then another very steep climb out of Durdle Door towards Bats head, great name! Then another steep climb towards White Nothe. All in all 4 steep climbs which my legs reminded me of the next day. Then its back to the car park to look at my handiwork with the Van. As I walked along the grass admiring my mud/grass artwork I completely lost my footing and ended up on my backside! Great… My only comfort as I drank a cup of tea in the van was watching others having similar problems! So Saturday night was quite heavy celebrating a friends 40th in Southampton not conducive to walking the next day! I met friends in Brockenhurst who were taking the train. It should have been Lymington but public transport was doing its thing! It was a bitterly cold day and high winds. Being born in the year of the Tiger I really don’t like the wind, so this was actually a difficult walk from that regard. We wound our way out of Lymington, past some boat yards and to the south coast where there was a fabulous view of the Isle of Wight. In the 1700’s this area used to be a hive of industry producing salt and exporting it to such places Newfoundland, America, Norway and Ireland. The last saltworks closed in 1865 and died out because of the cost of fuel and cheap rocksalt from Cheshire. This is a popular area for walkers and cyclists, I was amazed how many people were out! 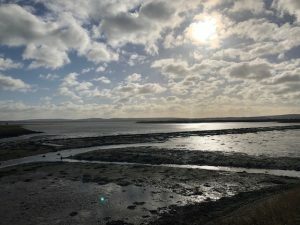 Once we reached Keyhaven it was into the Gun Inn Pub to warm up and grab a cup of coffee. Yes coffee, especially after the night before! 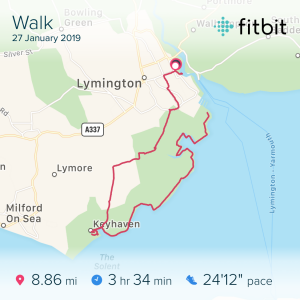 Then it was a bite to eat and around 4.5 miles back to Lymington. Another pub stop and another cup of coffee to warm up! My fitbit was playing up again and paused itself for a mile or so, so it is missing part of the walk. Today I was pleased to be back to the van. A drive home and into the shower to warm up.. 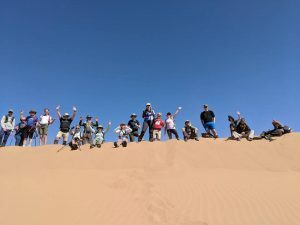 The Sahara is beckoning and is getting very close now, only 3 weeks so limited time available! 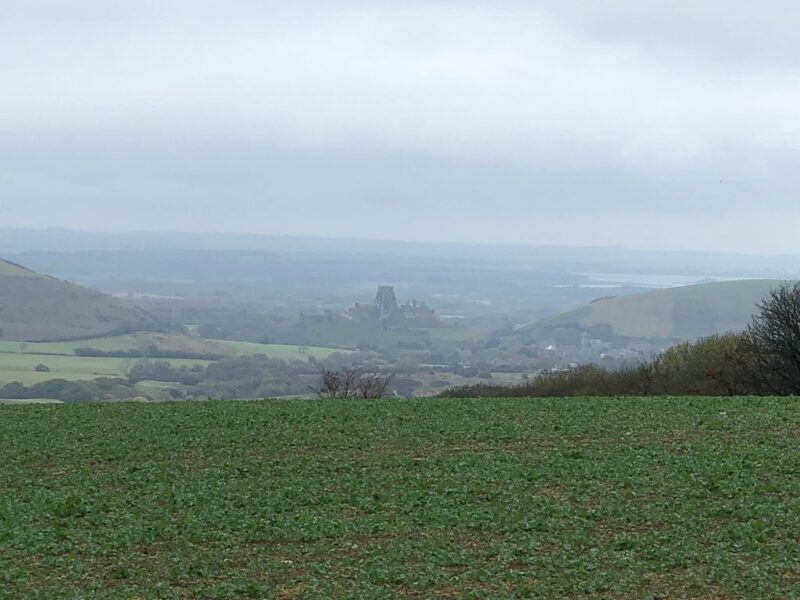 This was a walk suggested by a friend, despite living in Dorset for a large part of my life I had never visited these two historical monuments, but what a treat! Fabulous views everywhere! Hod hill was an Iron age hill fort of about 52 acres. 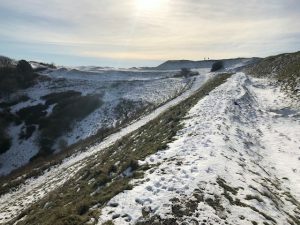 Hambledon hill is both higher and larger and was also fortified by ditches and ramparts. There is lots of interesting information about both hillforts, too much to write here, I urge you to look it up. 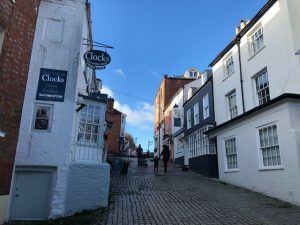 The walk started with an immediate sharp climb up Hod Hill, no time to warm up. 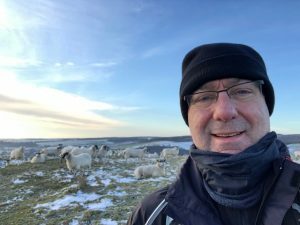 It was early so no one around except me and the sheep! It was beautiful up there with the sun and the remains of the snow. It was then down the other side and a loop back round towards Iwerne Courtney or Shroton as its also known. It was then a steep climb up towards part of the Wessex Ridgeway. Along the ridge for about a mile then dropping into Iwerne Minster. What a pretty village. Then looping back round towards Hambledon hill. I stopped for a cup of tea and snack before the climb up the hill. 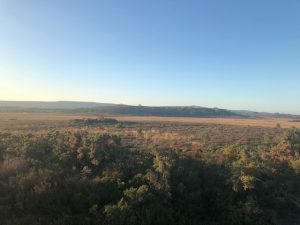 Reaching the top was the most spectacular 360 degree views, I took a video but like pictures it doesn’t do it justice. It was then back down the hill towards the car. It was 9 miles but completed in just over 3 hours so was back home in time to get some chores done! 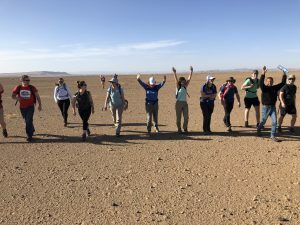 So I have decided this is my last big training walk before I attempt 100km in the Sahara in just over 4 days. Not a great last walk as the weather was very wet first thing and I got soaked a little later. It was also very cold and windy with sleet in the air. 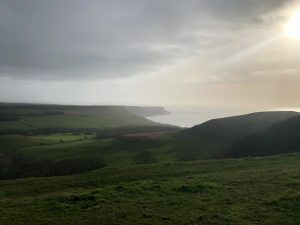 With low cloud the on the ridge on the South West Coastal path there were great if not grey views over both Weymouth and inland. The track headed North east to the pretty village of Martinstown, otherwise known as Winterborne St Martin. From here it was a gentle uphill climb towards Maiden Castle (couldn’t get a decent picture!) This is one of the greatest prehistoric forts in Europe with an area of around 47 acres and with massive triple ramparts over 60ft high. At its peak it was home to over 4000 people. 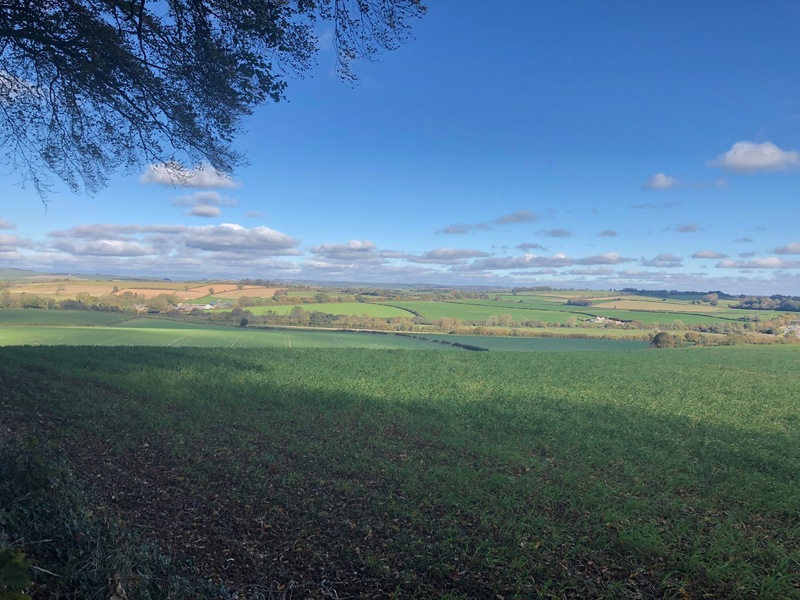 When the Romans invaded and displaced the Durotriges tribe the fort declined and was superseded by the Roman town of Durnovaria, now known as Dorchester. 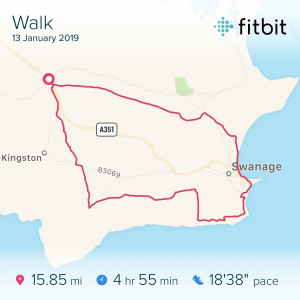 Then heading back southwest through Farmland and back up onto the same very windy ridge heading along the South West Coast path in the opposite direction to earlier, rather uncomfortable walking along here. 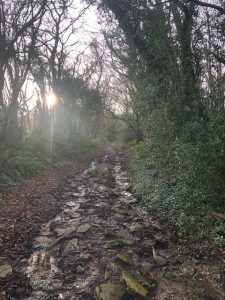 Then to extend the walk slightly I dropped down into ‘Hells Bottom,’ which would be hugely pretty in the sunshine, but it was here I was soaked by a very heavy rain storm, and with a big climb back up to the ridge it wasn’t the most enjoyable walk I have had. 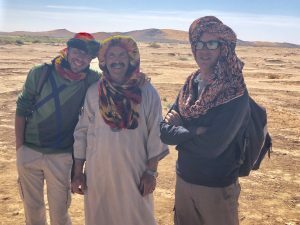 Back to the van to for a cup of tea and to reflect that that’s it, I have done what I can..next stop Morocco, its come around very quickly…. He’s done it everyone! 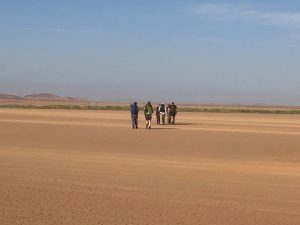 Peter flew back into the UK last weekend, having completed his 100km trek across the Sahara desert. 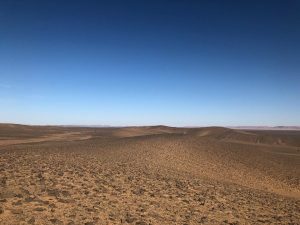 Peter’s trip got off to an inauspicious start with the cancellation of the outgoing flight to Ouarzazate, but that didn’t seem to dampen the spirits. Their late arrival meant the walk was condensed into 4 days instead of the planned 5, which I know would have given Peter the collywobbles. 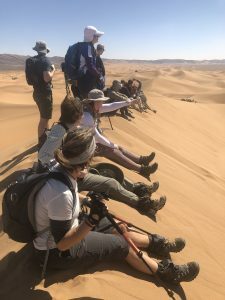 Despite this the entire group still completed the 100km adventure. Huge congratulations to you all! 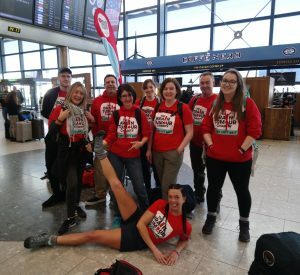 The group as a whole has currently raised over £70k, and I’m sure this will increase over the next few weeks . Peter is now at home cleaning the sand out of his backpack & having a couple of days well earned R&R. 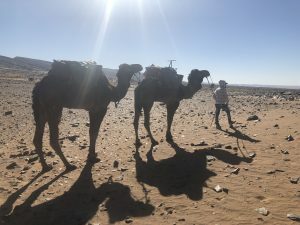 He’ll be back in the office shortly and will update this blog with more pictures and stories from the desert. 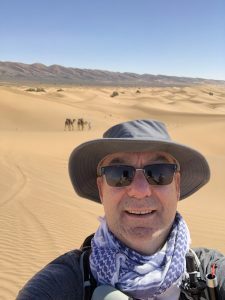 In the meantime he is edging ever closer to his personal target of raising £6000 for the brain tumour charity, so please let’s see if we can get him over this final line! All donations are hugely appreciated. We were a group of 14 trekkers. All there for our own reasons. 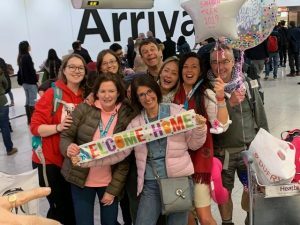 Some had been affected by this terrible disease, others had lost close relatives and some were there for their partners who are currently living with a brain tumour. It was a wonderful group of people all there to share the experience and it was a great atmosphere. 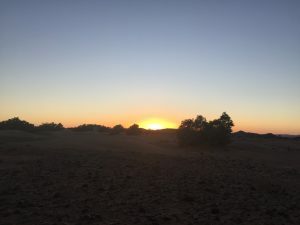 We were dropped off and walked about a mile into camp to experience our first evening and our first sunset sitting on a small dune. Day 2. 28km straight off the bat! 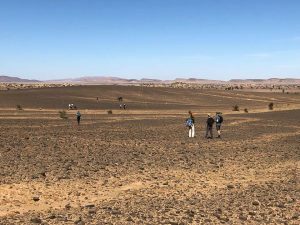 Today was an education of the landscape of the Sahara. Myself included we have an impression that it is miles and miles of sand dunes. 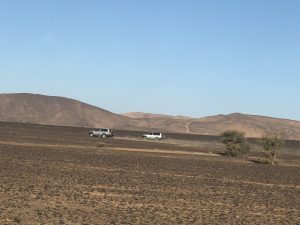 Possibly it is in some areas, but not only are there sand dunes but very large plains often covered in volcanic rock, high ridges and sometimes riverbeds when flooding occurs up country. Day 3. The night time temperatures are extremely cold..Three layers of clothing, warm trakkies, socks and a beenie hat, and it still felt cold at 4 in the morning! 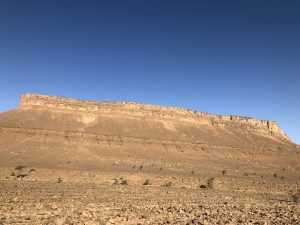 As we headed out of camp we walked through a gorge, then turned right towards a plain. Very difficult underfoot here as there were large pieces of volcanic rock to negotiate. It was a little after this we hit a dried riverbed, where there were some bee hives of all things! We had passed a small settlement earlier presumably the hives belonged to them. Then it was a climb up to the top of a very high ridge, this was like being on top of the world! Day 4. So to complete the 100km the next two days would be extended. We had very quickly become a close knit group even our guide asked if we had known each other before we left, which of course we didn’t. It was another day of amazing ever changing landscapes of which you never tire even when walking for 7-8 hours a day. 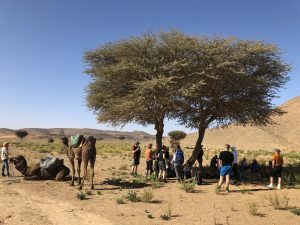 Lunch stops were typically under a temporary canvas tent or in the shade of a tree to avoid the worst of the mid day sun. It was a chance to take off our boots and relax for an hour or so. We were well looked after with even the option of a bottle of coke for those who wanted it! Day 5. 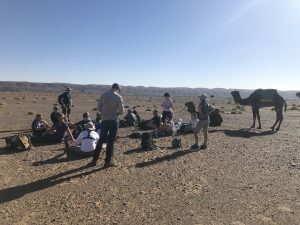 Our final day of trekking and it would be a long one! There were lots of climbs, once again very different terrain to what we had seen previously. It seemed strange that this was our final few miles, we felt as if we were just getting into our stride. 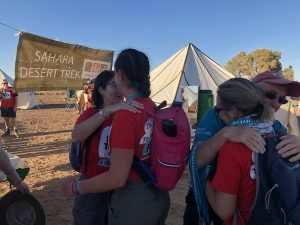 We then arrived at our final camp, it was an emotional moment but all 14 of us made it which is apparently an exceptional feat. 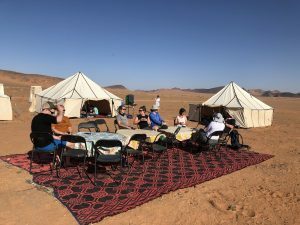 It was a night of celebration with our Moroccan support team and guides putting on some great entertainment around the camp fire. The next day would be back into the 4×4’s for 6 hours to a hotel for the night and our first proper shower! A wonderful celebratory meal would be had, a very late night, then up at 4.30 to catch the two flights back to the UK. 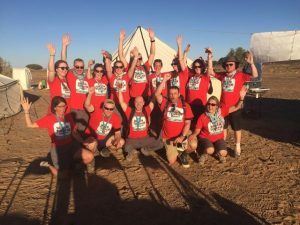 Collectively we have raised over £75K so far without gift aid. We are optimistic that we can reach £100K which would be nice, £100k for 100k! Relec is still fund matching so if you can would like to donate please don’t delay as we will close this off soon. I huge thank you to everyone that has supported us, including such suppliers as Idealogy and Alan&Thomas, without you guys it would have been a whole lot harder.